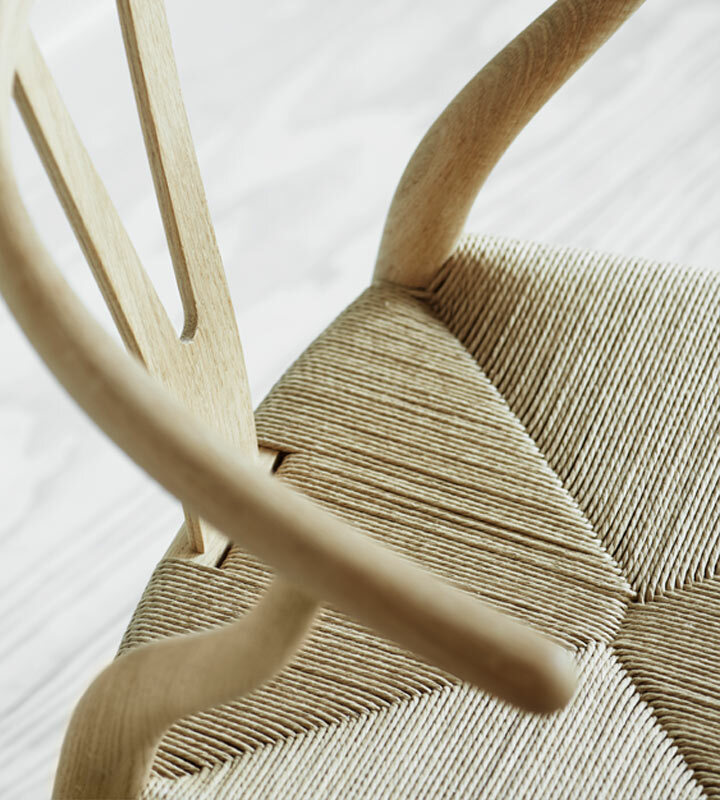 He may have designed more than 500 chairs during his lifetime, but Hans J. Wegner’s CH24 Wishbone chair is considered by many to be his greatest. It’s effortlessly simple, beautifully tactile and unmistakably Danish. Join us as we discover more about this Scandinavian design icon, including how it got its name and what it’s like to sit on. 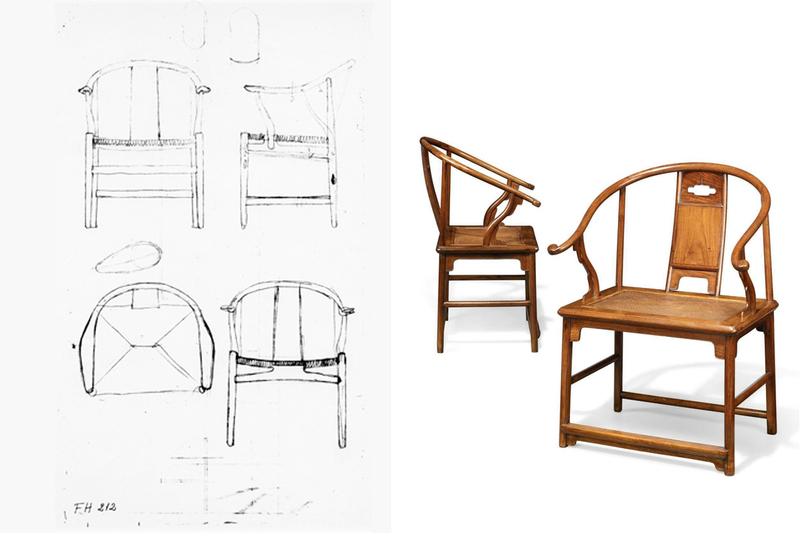 Wegner's most famous design alongside his original sketches for the CH24 Wishbone Chair. Image source. Who designed the Wishbone chair? The CH24 Wishbone chair was designed by Hans J. Wegner in the late 1940s. 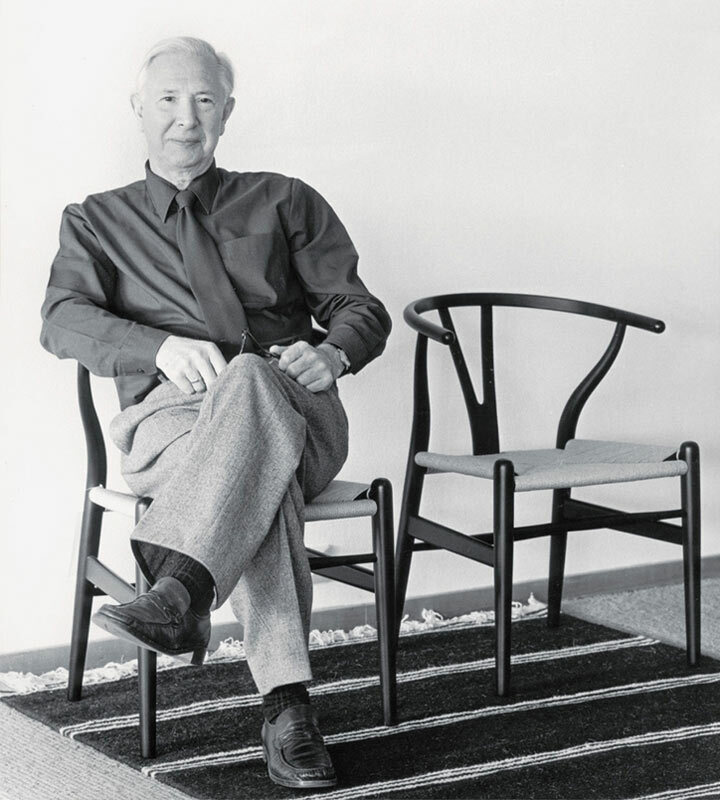 Hans J. Wegner himself, enjoying his creation. Wegner was a cabinetmaker by trade. He started out as an apprentice for one of Denmark’s leading craftsmen at the age of 17 and went on to study at the prestigious Copenhagen School of Arts & Crafts. After graduating, he established his own studio and began designing furniture. While working alongside fellow Dane Arne Jacobsen on the Aarhus City Hall in 1949, Wegner was approached by Carl Hansen & Son who were looking for a partner to help extend their product range. Keen to share his designs with a wider audience, Wegner agreed. Over the ensuing years, they created some of the world’s most iconic furniture designs together, including the CH07 Shell chair, CH20 Elbow chair and of course, the CH24 Wishbone, which is also sometimes called the Y chair. The CH07 Shell Chair, the CH20 Elbow Chair and the CH24 Wishbone Chair. In addition to his impressive catalogue of work, Wegner is also known for his mastery of wood. He was a long-time champion of natural materials, like wood and leather, and greatly admired the integrity of joinery. Today, many of his designs are made using the same methods. The Wishbone then and now, still utilising high-quality joinery and production methods. What is the history of the Wishbone chair? 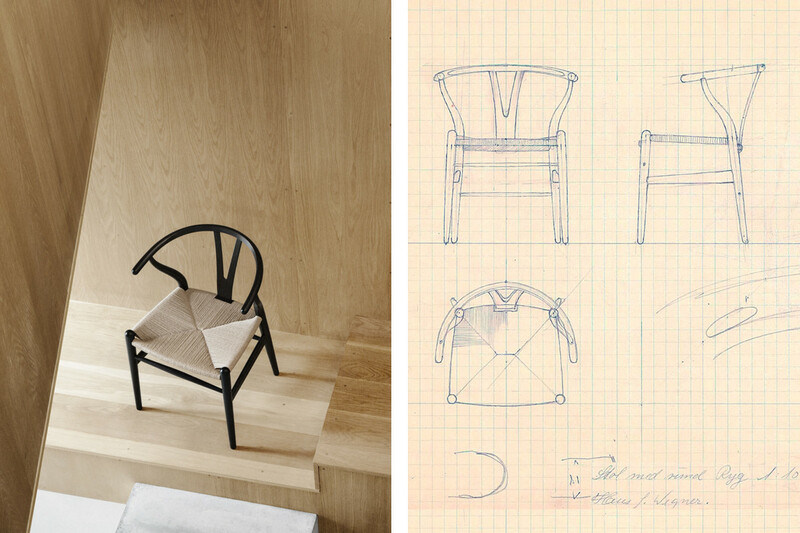 While the CH24 Wishbone chair is Danish to its core, the inspiration for the design actually came from the Far East. In the 1940s, Wegner happened upon a photograph of Danish merchants sitting atop Ming dynasty chairs and was intrigued by their wide seats and high backs. Inspired, he went on to design a collection of chairs that incorporated details such as these, one of which eventually became the Wishbone. Wegner's original idea for the Wishbone is based on Ming Dynasty Chairs. Image credit 1 & 2. 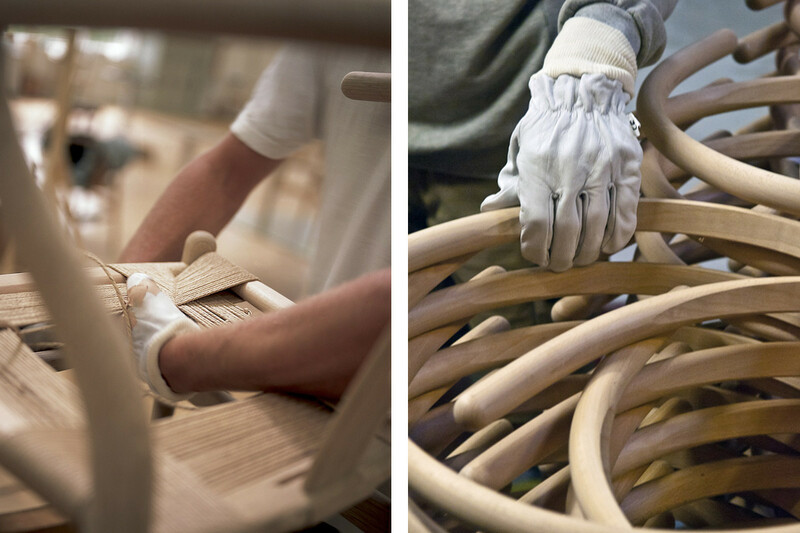 Every Wishbone chair is made by hand at the Carl Hansen & Son factory in Copenhagen, Denmark, following Wegner’s original specifications. They’re comprised of 14 separate components and require over 100 individual processes to ensure they’re chiselled, carved, sanded and shaped to perfection. Because of this, every chair takes around 3 weeks to make. 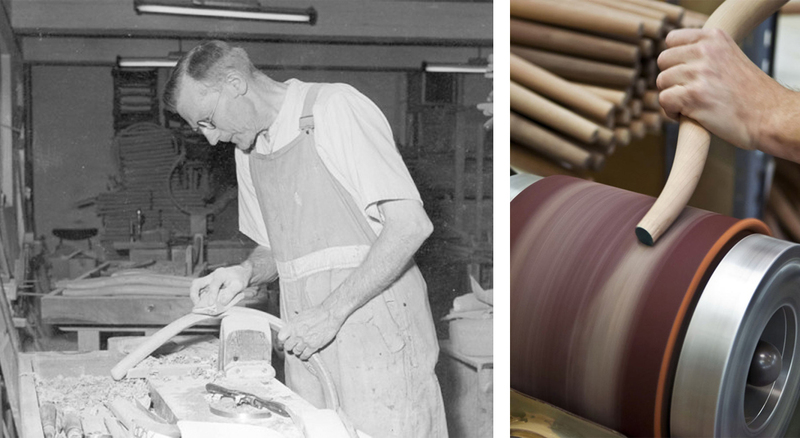 They were first put into production by Carl Hansen & Son in 1950, and have been in continuous production ever since! The Wishbone has been in production since 1950. But, why are they called ‘Wishbone’ chairs I hear you ask? Well, if you take a look at the back of the chair, you’ll notice a Y-shaped backrest that resembles a wishbone. It’s this detail that gives the chair it’s iconic name. The back panel of the CH24 Wishbone gives the chair its name. A well-designed chair shouldn’t just be aesthetically pleasing, it should be comfortable and work on a practical level too. We’re pleased to report that the CH24 Wishbone chair scores highly on both fronts. The paper cord seat is hand-tensioned for a smooth sit, and the steam-bent backrest aligns beautifully with the contours of the body for comfort and support. But don’t just take our word for it, pop into our showroom to try it for yourself! Handwoven paper cord seat allows for a smooth sit. While some imitation chairs can be hard to spot, this is not the case with replica Wishbone chairs. The superior quality of authentic chairs, in both material and craftsmanship, make it easy to differentiate between the two. Here are a few things to look out for. The seats of authentic Wishbone chairs are woven in either natural, black or white paper cord, depending on what you choose. It will sit uniformly and will be taut and neat. Anything that looks loose or uneven, or if the ‘cord’ is actually made from a synthetic material, will be fake. 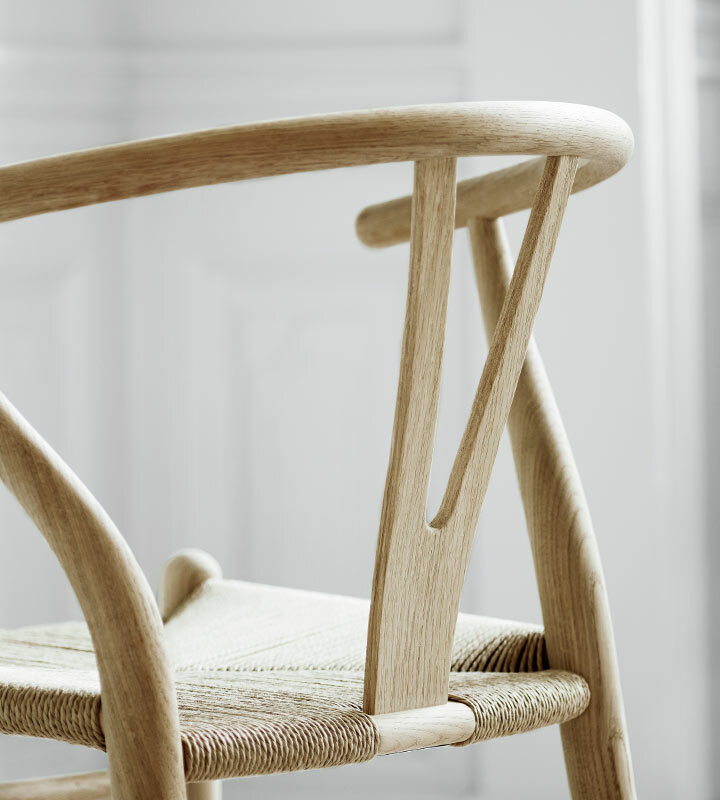 Carl Hansen & Son use only sustainable, high-quality Danish timber to make their Wishbone chairs. The wood will be smooth and have an even appearance. If you can see knots and blemishes, chances are it’s a replica. All authentic chairs will be marked with the manufacturer’s details. In newer models, this will be a label that features Wegner’s signature and a serial number. In older models, this could be a plaque or even a simple stamp, but the identification will be there. Whatever it’s age, these markings can all be found on the chair’s underside, at the back of the seat. One of the original authenticity labels compared to today's. Image source 1 & 2. The chair’s price tag is a good indication of authenticity too. Authentic Wishbone chairs are handmade from premium quality timber and durable paper cord, and the price should reflect that. They’re built to last and will be enjoyed and cherished for generations. Where can I buy a Wishbone chair? 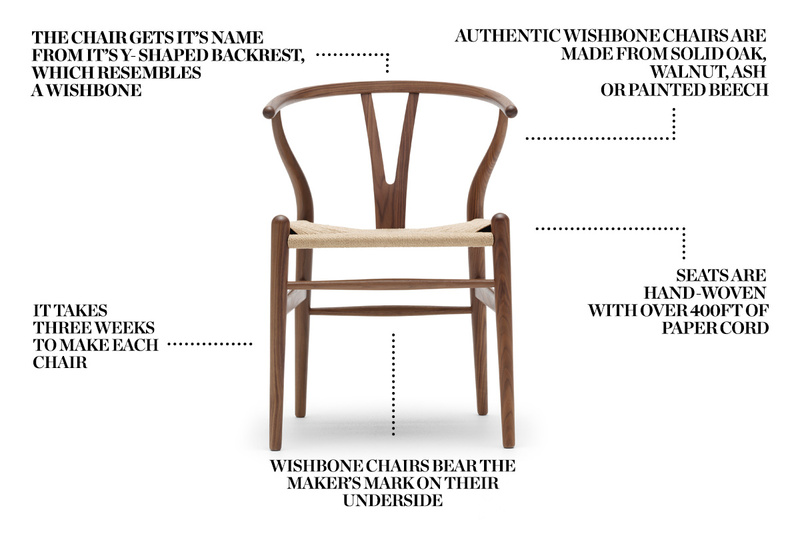 You can find authentic CH24 Wishbone chairs right here at Nest.co.uk. We offer natural wood designs, as well as painted styles in a selection of shades, plus special citrus and purple-hued options. There’s a Wishbone for every personality in our range! 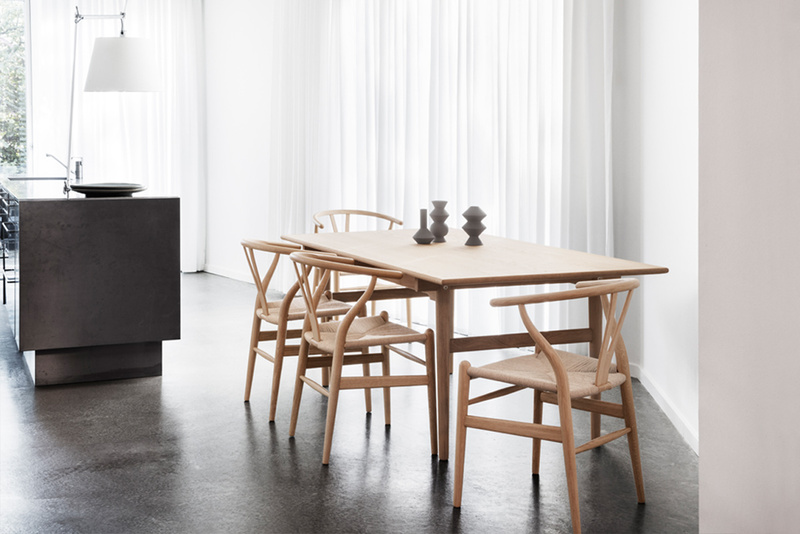 The CH24 Wishbone Chairs pair perfectly with Carl Hansen's CH327 Table. Get your set now. Which CH24 Wishbone is your favourite? Already own one? Tag us in your pictures on Instagram, Facebook or Twitter!